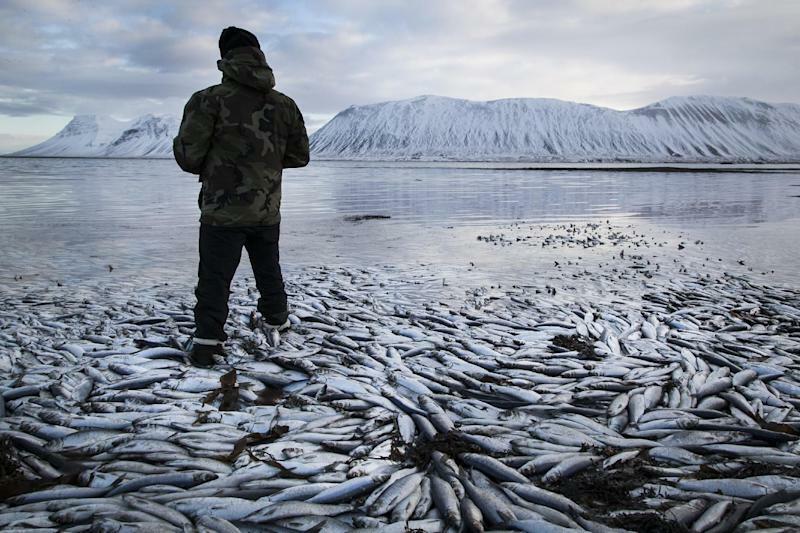 REYKJAVIK, Iceland (AP) — Researchers in Iceland are blaming low oxygen levels in a shallow fjord for the deaths of tens of thousands of tons of herring. 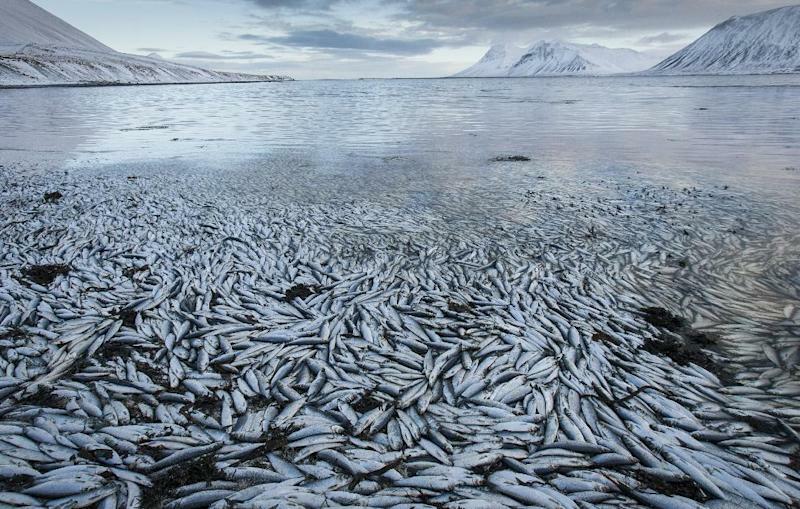 Masses of dead herring have been found in Kolgrafafjordur fjord for the second time this winter, raising concerns about Iceland's fishery. The Morgunbladid newspaper estimated the value of the 10,000 tons of fish found dead this week at 1.25 billion kronur ($9.8 million). An even larger number of fish died in December. 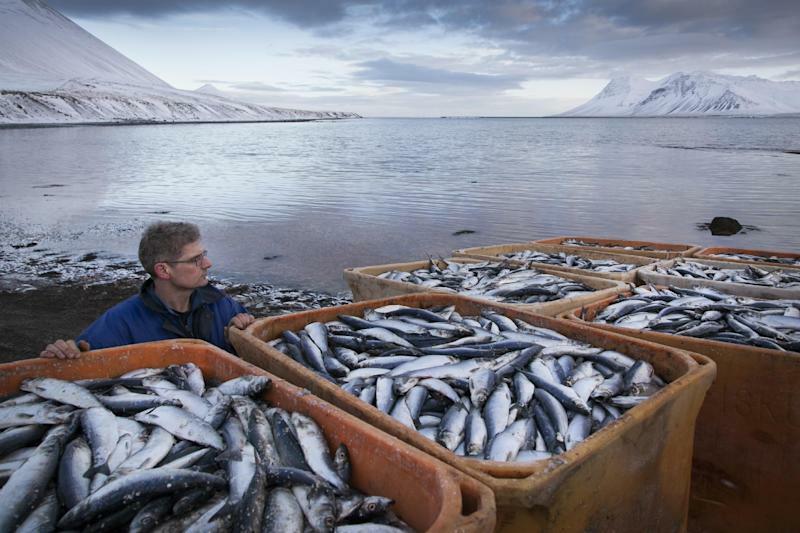 Roughly one season's worth of herring has been lost, Johann Sigurjonsson, director of Iceland's Marine Research Institute, said Wednesday. He said herring tend to winter in large populations and may have depleted the oxygen in the shallow fjord. The danger should ease in spring when the herring spread out into a wider area, he said, downplaying fears that the entire herring fishery is in danger. "We regard this as a serious event," he said. "We are investigating; we would like to find out if it is necessary to try to step in somehow." The government's economic minister has increased funding for monitoring in the area to determine what can be done to prevent more fish from dying off. Some blame recent construction in the region for the kills. Schoolchildren, town workers and volunteers have been cleaning up the dead fish, which can be turned into feed for mink and other animals. Revenue from the sale is expected to go to local children and to area schools.